TOKYO, Japan – Last year was a tough one for the Japanese bicycle business, as consumers reined in spending in the wake of the global financial crisis. Most domestic industries suffered declines in sales and bicycles were no exception: the general sales slump was not helped either by the poor summer weather which affected turnover of sports bikes. Overall, 2009 domestic bike shipments are expected to be in the region of 9.6 million units, down by about 5% compared to 2008. Encouragingly, the value of domestically manufactured bicycles rose by about 23%, continuing the trend of the recent past. Consumer confidence is lagging behind the slight recovery in business conditions and is a likely factor in the overall sales decline, especially in the premium price segment. Meanwhile the mass merchants are returning to their roots as price destroyers, shoveling millions of cheap Chinese bikes into the market. Specialist bicycle dealers, however, show signs of renewed purpose, reflected in higher unit prices. The statistics in this report are based on January-November 2009 figures, the latest available from the Japan Bicycle Promotion Institute. Japan imported 9.03 million bicycles in 2008, a 5.9% decrease from the same period of the previous year, according to statistics from the Finance Ministry’s Custom Bureau. That was the first fall since 1996, when Japan began to be overwhelmed by cheap disposable bikes from China. The flood helped inflate the market to a peak of about 11.6 million units in 2004. The decline in imports continued in 2009 – imports were down 5.1% in the first ten months (to 7.4 million units) while import value dropped by 8.7% compared to the same period in 2008. Domestic production also fell slightly in the first 11 months of the year, to 844,383 units, a 2.3% decrease. Overall, shipments into the domestic market appear to be heading for another decline in 2009 on the basis of the figures available, to an estimated total of around 9.6 million units. The market seems to be returning to its historical norm of 8 to 9 million units annually (of course, Japan’s dismal demographic outlook is likely to further reduce that volume in the coming years). Exports of bicycles from Japan, which rose from about one million units in 2004 to 2.28 million in 2008, seem likely to fall back by about 5% in 2009 on the basis of the January-November figures. Unfortunately for the industry, the growth in exports was made up of shipments of used bikes to countries like Vietnam and Ghana at an average price of JPY 1,652 (€ 13). The global slowdown last year had a direct impact on retail sales of bikes in Japan last year. A survey by the JBPI of 100 retail stores nationwide in September found sales down by 15.2% compared to the same month in 2008. Month to month comparisons showed a dramatic downward trend from around July, when sales were down 20%. 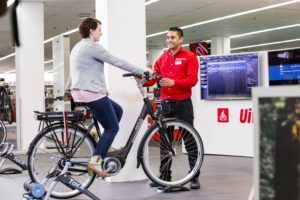 Overall retail unit sales were off probably 10% for the year as a whole, thanks to healthy sales in February and May, when electric bikes sold especially well. 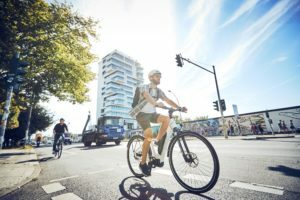 New standards and new model lines meant 41.7% more electric bikes were sold in May than in the same month a year earlier. Poor weather at the beginning of summer 2009 meant an immediate decline in sales at many stores: in June the number of sports bikes sold was lower than the previous year. Electric bikes also suffered during June, but retailers recovered somewhat during August. 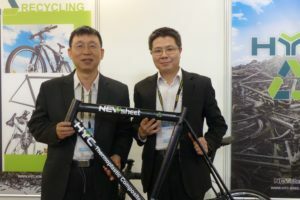 Mass merchants, who in recent years have developed private label bicycle brands in an effort to move up-market and charge higher prices, are apparently moving back to a strategy of low priced ‘loss leaders’ in a shrinking market to attract customers. 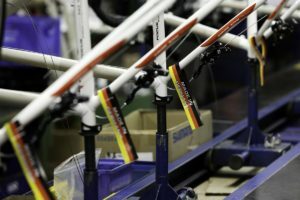 Specialist bike shops, until last year, had been enjoying a revival of interest in sports, electric and trendy urban bicycles, are reportedly seeing a marked decline in sales of high-priced models: a direct result of consumer confidence battered by the shaky state of the economy in the last year. Overall, the bike business is still suffering from the over-supply of cheap bikes that dominated the market for so many years. The likely return of annual sales of 8 million to 9 million bikes in the coming years should focus the minds of retailers. Dealers are being supported by innovation from the big domestic makers. Bridgestone and Miyata are bringing out bikes that address the unique demands of the Japanese market for school and urban commuter bikes. 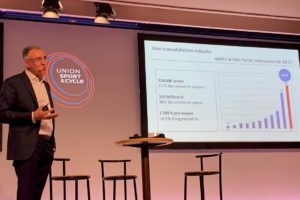 Japan’s biggest bicycle maker, Bridgestone, made a series of significant steps last year as it celebrated its 60th anniversary. The company opened a showroom/office in Tokyo’s trendy Aoyama district, launched a line of anniversary models, and ceased distributing Merida bicycles in Japan. The flagship showroom, dubbed Bike Forum Aoyama, targets drop-in consumers in an effort to interest them in the bicycle lifestyle. Although some Bridgestone models are on display, bikes are not sold or repaired at the showroom: “The main purpose of this space is to encourage the broader use of bicycles, so we’re deliberately understating our own brand,” said President Keiji Watanabe. Among the special anniversary models launched last year was the Anchor RMZ, a road bike with a newly-developed custom-order carbon frame. Bridgestone says the rigidity and dimensions of the bike’s frame can be customized to precisely suit the rider’s physical characteristics. About 50 stores around Japan started taking orders for the bike, which retails for JPY 480,000 (€ 3,790) on January 10 this year. Bridgestone also ceased its arrangement to sell Merida brand bikes in the Japanese market at the end of August 2009. Merida is now distributed in Japan by Miyata Industry. Last year, sales of electric bikes held up well, with unit sales likely to at least equal the 315,663 bikes seen in 2008. In the January-November period, 291,010 bikes were produced in Japan (1,000 of which were exported). A new regulation raising the maximum assist ratio to 1:2 in December 2008 fueled new sales from the beginning of the year. The new law prompted makers including Panasonic and Sanyo to introduce more powerful models. Panasonic launched out four models in January and three more in February. The new e-Bikes are about 6% more expensive than older types. Another change in the law, this time in July, allowed bikes to carry two young children as passengers, again helping sales to the ‘mama’ market. Targeting sports enthusiasts meanwhile, Sanyo introduced the world’s first e-Bike with a carbon frame in 2009: the bike is priced at JPY 627,900 (€ 4,960), so buyers would have to be quite enthusiastic about the bike, to say the least. Sanyo expects total domestic shipments of electric motor-assisted bicycles to top 400,000 units in the next two years. Local authorities are actively encouraging electric bike use, albeit in an uncoordinated fashion. The Kagoshima municipal government extended a subsidy equivalent to one-third of the purchase price of an e-bike, up to JPY 30,000 (€ 237). Its initial budget of JPY 6 million (about € 50,000) was exhausted in just six weeks. The government set aside another 6 million yen as part of its supplementary budget in June to meet the demand. The Matsue municipal government also introduced a subsidy program in February. The program met its initial target of 100 bikes within days, but continued to be inundated with inquiries.